Long known for his no-frills jails (pink underwear so gang members wouldn’t steal them), chain gangs and inexpensive meals (green bologna and water), Arpaio finally really infuriated the left when he started cracking down on illegal immigration in 2005. Arizona’s illegal immigration levels had reached epidemic levels, straining tax dollars. Working with conservative Maricopa County Attorney Andrew Thomas, the pair made a significant dent in the state’s illegal immigration. They lobbied to get four ballot initiatives against illegal immigration made into law in 2006. When left-leaning judges refused to enforce the new laws, the two fought back. A flurry of investigations and legal actions began shortly afterwards. This is where the tide started turning against Arpaio, because the left controls much of the judiciary. It started with chipping away at the low-hanging fruit around Arpaio, lower-level employees who had no money, power or connections to defend themselves. The judges made findings against Arpaio, and the complicit state bar disbarred Thomas and another prosecutor ( disclaimer : I was also targeted by the state bar as a low-level attorney for Arpaio at the time). The Obama Justice Department began an investigation into Arpaio’s agency in 2008, nitpicking every policy and procedure in order to cast blame. It wasn’t hard to do, considering if you look hard enough, you can find a crime anywhere. Defense attorney Harvey Silverglate finds fishing expeditions such a prevalent problem now, he wrote a book entitled, “ Three Felonies a Day: How the Feds Target the Innocent.” In 2011, the DOJ declared that it had found racial discrimination against Hispanics by Arpaio’s law enforcement agency. This was peculiar considering 23 percent of the employees are Hispanic. The Department of Homeland Security revoked Arpaio’s authority to identify and detain illegal immigrants in 2011. 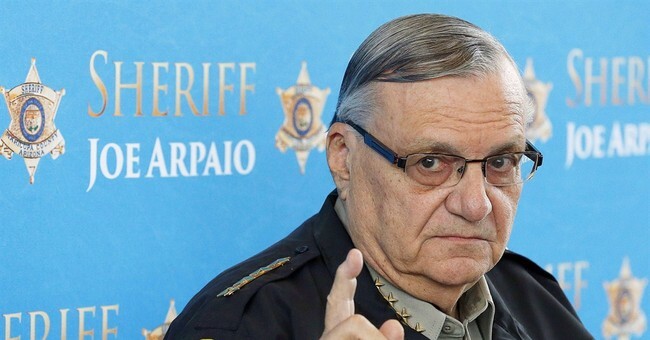 In March 2012, Arpaio announced that Obama’s birth certificate was a forgery, and coincidentally two months later, the DOJ filed a lawsuit against him over racial profiling, U.S. v. Maricopa County. In 2010, Pima County Superior Court judge John Leonardo ruled that Arpaio had "misused the power of his office to target” elected county officials who Arpaio believed were complicit with the judges. In what many think is no coincidence, shortly afterwards Leonardo received a plum appointment, becoming U.S. Attorney for the District of Arizona, one of the largest U.S. Attorney’s Offices in the country. A former high-level attorney there told me recently that the office regularly receives orders from the Obama administration to target its enemies, which employees are forced to carry out. U.S. District Court Judge G. Murray Snow has repeatedly ruled against Arpaio in the Melendres case. In 2013, he held that Arpaio’s office had discriminated against Hispanics by targeting them in traffic stops. Arpaio believes there is something fishy about Snow’s rulings against him, and at one point started investigating his ties to the DOJ. In what many believe was retaliation, county officials conducted an investigation of Arpaio’s office in 2011, aided by The Arizona Republic’s public records requests. They concluded that he had misspent funds. Several of Arpaio’s underlings were targeted in the investigation, leaving Arpaio no option but to fire his longtime Chief Deputy and Deputy Chief. With the tide turning against Arpaio, it has been easy for the DOJ and judiciary to dismantle Arizona’s SB1070, the comprehensive bill against illegal immigration that passed in 2010 with Arpaio’s support. By 2012, most of the law had been gutted by judges. Under attack from so many angles, with his former top circle of advisers and attorneys all taken out, Arpaio finally seems to be losing his ability to fight back. He has agreed to apologize for racial profiling, donate to an Hispanic civil rights group and admit that he committed civil contempt of court for not complying with a racial profiling order in the Melendres case. That still isn’t enough for Judge Snow, who indicated this month that he wants Arpaio to pay personally out of his own pocket.